NEW YORK (AdAge.com) — What do you do when you’re a purveyor known for pricey, if unique, gifts during a recession? You spend more on advertising — and debunk brand myths. 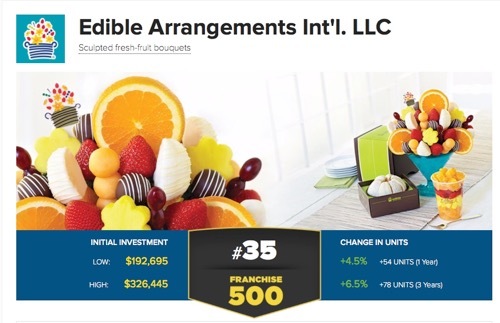 Leveraging a combination of a national campaign, a unified franchisee strategy and a revised message that caters to consumers’ recessionary concerns, Edible Arrangements International is seeing traction in the area that matters most: sales. The fresh-fruit-arrangement delivery service earlier this year launched a national campaign, only its second in 10 years, titled “Pass It On.” It promotes the edible bouquets as surprisingly affordable gifts suitable year-round, not just in holiday seasons. Hot Dish Advertising, Minneapolis, handled creative, while Mediacom handled media buying. The privately held company boasts tripled consumer brand awareness since its debut national campaign in 2008. Helming ad efforts is VP-Marketing Stephen Thomas. Mr. Thomas is a veteran of Burger King, where he served as a marketing director for a multi-unit franchisee, and Subway, where he served as manager-marketing planning and analysis and was part of the marketing team that launched the nutritional campaign featuring “Seven Subs Under 6 Grams of Fat.” He joined Edible Arrangements in 2007 as VP-strategic alliances, overseeing partnerships with entertainment companies such as Disney and Nickelodeon. 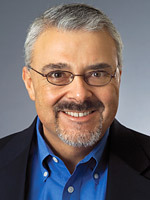 Moving into his current role later that same year, he reports to Tariq Farid, CEO, and oversees consumer research, strategic alliances, storefront image, web development, the customer order center, product development, field marketing, advertising development, and media planning and execution. Mr. Thomas won’t disclose the company’s annual marketing budget, but says it has increased each year since 2007, and that “sales have been positive.” In a recent interview with Ad Age, he discussed why consumer feedback is so vital and why price-cutting hasn’t been necessary. Ad Age: Why launch a national campaign again, and why now? Mr. Thomas: It’s the evolution of our campaign. This was the year we made significant change creatively in the advertising, but really, it’s designed against the same strategy, which is to increase our customer base and grow sales. We spent the last couple years trying to educate folks on who we are and what we do. That was 2008’s message, what I like to call emotional education, then last year we evolved that into more of a promotional-type education. We follow the gift-category purchase cycles. Holidays are peak periods for us. So this year has been about, how do we take the insights we’ve gleaned to grow our business base? To acquire customers from the huge gift category requires that we’re in front of consumers educating them on why Edible Arrangements is really a good choice in light of the other options. Ad Age: What’s your overarching marketing philosophy? Mr. Thomas: You need to talk to consumers a lot and in a few different ways, regardless of what industry you’re in. You need to keep a pulse on what the levers are. At Edible Arrangements, we know the strengths our product has — it offers the beauty of flowers, but you can actually eat it; we know we score high on freshness and health and quality — [so the question is] how do I bring that to people in a way that convinces them to try it? Those insights come from the customer, in many cases. Ad Age: Have you had to cut prices in the recession? Mr. Thomas: We have not discounted but instead we have educated customers that our products are every bit as affordable as flower arrangements, [for example]. It removes the perceived cost barrier because a lot of users didn’t realize we had lower-cost items. You cannot only eat [our product], you can count on it to be delicious and fresh every time, so that was inherent value we had to make sure we were getting across to consumers, as well. Ad Age: What media did you use in the campaign? Mr. Thomas: TV, print and online, primarily. This year for the first time we incorporated a new target and a new medium, which was radio. Our typical target is women age 25-54. And those are primarily the people we speak to most of the year. However, there have been times that our research has shown that they’re not doing a majority of the purchasing. So this year for the first time we targeted men pre-Valentine’s Day. The flight broke Jan. 27 and we came off on Feb. 10. We advertised on ESPN, ESPN2, ESPN the Magazine and ESPN.com. Fortunately for us, all of the pre-Super Bowl hype fell right in the middle of everything, and we used that to our advantage to educate men on Edible Arrangements. Twenty-five percent of incremental orders were attributed to the Valentine’s Day male-targeted media plan in some way. Ad Age: What consumer research informed your efforts with the campaign, both in terms of creative and media strategy? Mr. Thomas: We do focus groups a couple times a year and we try to move around the country to get the brand in front of users and non-users. We talk to non-users about why they don’t buy from us, so it helps us, in many cases, uncover perceived obstacles. There was a perception that we were more expensive than we really are. We have our ongoing tracking study; we talk to about 2,400 consumers a year. It helps us measure the market, the overall gift category, both direct and indirect competitors. Ad Age: To what extent was social media employed in the campaign and general marketing efforts? Mr. Thomas: We’ve only recently started to leverage what we feel are the benefits of it. It’s an important way to stay connected to our customers. Facebook has been most successful for us. We do use Twitter also and we have a MySpace page, but we use Facebook the most to connect. We’ll ask questions, we’ll post surveys. In October we launched a Facebook application to grow our user base and market to them. We hit the number in less than four days. Our fan base is at 183,000 at this point. We drove the Facebook customers into our system with a free giveaway, then we gave them another incentive to come back. Ad Age:Why did you become an upfront advertiser for the 2009 and 2010 TV seasons? We were putting more into TV at a time when others were cutting back, and we just came along at the right time with more dollars than ever before when prices were lower, and that helps you establish favorable base rates for future buys. Ad Age:In the midst of this recession, what demands are being placed on you, specifically, and what are you doing to deliver on those expectations? Mr. Thomas:I’m responsible for driving traffic that results in growing revenue profitably for our franchisees — all the time. That means we’re always working to beat comp sales from the same week last year. Ultimately, to be successful under this kind of pressure you need to use the best resources you can, which means surrounding yourself with talented and smart staff and agency people who are dedicated and insightful. It also means finding the right mix between data and instinct. So while we may not be winning Clios, if my franchisees’ sales are growing and we’re building our brand successfully, that’s really accomplishing a much more important goal.